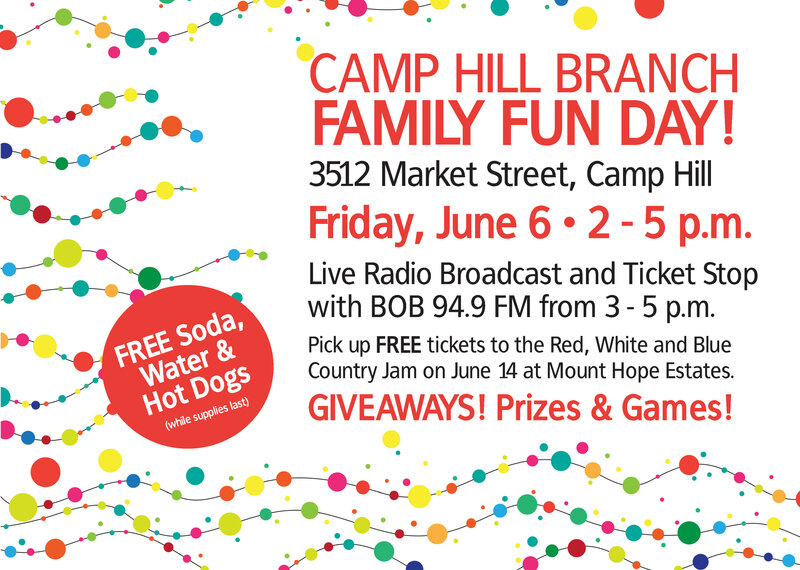 Don’t Miss Family Fun Day at Our Camp Hill Branch! Don’t miss this free family friendly event at our Camp Hill Branch! The community is welcome to attend. Click here for details about our Camp Hill Branch.